A patent spotted by Gearnuke has prompted fresh PlayStation 5 backwards compatibility rumours – although we’re not convinced the site’s speculation is entirely accurate. The documentation, to be fair, is legit – it’s named ‘Remastering by Emulation’, and was filed all the way back in 2016, before being published publicly this month. The abstract talks about taking original software and then inserting new assets on the fly, effectively allowing classic games to be played on higher resolution displays in “remastered” form. While this does sound a lot like backwards compatibility, we personally believe that the patent pertains to some of Sony’s recent remasters, like PaRappa the Rapper Remastered. For those of you who don’t know, the Japanese giant’s actually created a PSP emulator for the PlayStation 4, which it’s used for several games like LocoRoco Remastered and Patapon Remastered. The way this works is that it takes the portable game code but replaces the original assets with 4K ones, resulting in more modern presentation. We believe that this is what the patent is referring to, especially when you consider that the documentation was filed in 2016, a few months before PaRappa the Rapper et al were announced for the PS4. Now we still firmly believe that the PS5 will be backwards compatible with PS4 games, but this patent isn’t proof of that in our eyes. Hmmmm. Ps5 has to have bc, because ms will definitely have it. This may not be direct proof, but I think it may be part of something bigger. @Cutmastavictory It could very well be. But the tech the patent is referring to is the process of emulating old games and replacing the assets to make them look modern. It's a mix of emulation and remastering. It's a different thing, even though it sounds similar on the surface. All that said, the PS5 will be backwards compatible. They specifically selected the PS4's architecture for that reason, so I wouldn't worry about it. There is absolutely no reason the PS5 shouldn't have BC at this point. They have a good architecture (though the CPU is a bit weak) that they can carry over to their next system with no problems at all. BC is the main reason I dropped on an Xbox, and if PS5 doesn't have it, it's going to be hard to justify an immediate purchase. @RedMageLanakyn It will. They've lost so much money this generation by not being able to sell discounted digital PS3 software at the rate they would have been able to if the PS4 could actually play those games. Like you say, the architecture is there. People forget that there are only two mainline PlayStation consoles in history to not have any form of backwards compatibility: the PSone (i.e. the first one they made) and the PS4. The PS3 was just a total nightmare, as is well established now. Companies file patents all the time so I never put much stock in them. However I really want PS5 to do a far better job of supporting legacy games cos really there's no reason why greater support for PS1 and PS2 games should not happen at this point. Preservation still remains a major issue in this industry. The reason I got so excited to get the PS1 classic is because Tekken 3 is on it, that's a game I've not played in over ten years because on modern systems that game has not been made available again, not legally anyway. I figure console gens going forward will resemble the cellphone/tablet market. Eventually new apps stop working with previous models, but generally older apps are compatible with the new ones. The PS5 will absorb what Sony did with the PS4. @get2sammyb just wondering if u know the answer to this question. I've always wondered why ps3 started out with BC but then when they "upgraded" the console it did not, why did that happen? @ellsworth004 Wasn't there an actual PS2 board inside as well?That would answer the BC question. @fontainelefunk Yeah. That was a major factor in the launch price being as high as it was, which was partially why they cut it out (also because the PS2 was still selling like mad). I'm pretty much done with re-buying the same games over and over, unless a game is a complete remake from the ground up (RE2 for example). The way CD/DVD/Blu-ray/digital Films and music play on the latest hardware, console games should come with you when upgrading too. I find it funny how people try to paint Sony as anti-BC, especially after the PS3 launched as BC compatible. That's one of the (many many many) reasons it was so expensive at launch. It had BC. It had Blu-ray. It had four USB slots. It had multiple memory card readers. It had built in WiFi. It allowed an alternative OS (for a while). The PS3 had ALOT of stuff packed into it...but it wasn't what gamers wanted. Hell, I bought it for the Blu-ray at the time. I liked PlayStation from college, and I wanted a Blu-ray player. HDDVD wasn't gaining traction, and other Blu-ray players were as much or more than a PS3. So why did Sony take BC functionality out of the PS3? No one used it. It's a BS argument. I want! I want! I want! And when it's given? It isn't used. The problem with BC for PS3 games is that they've all been developed to the Cell processor. Sony screwed themselves with that call. But still, it wouldn't be used. Who has time to play games from 2012 when we can't even get through Sony's 2018 exclusives? @get2sammyb Nice article, like the journalism. And on the weekend no less, well done sir. And I agree, with all of it. I hope it is, I made a bet with a friend. The loser gives a game of choice. It would make absolutely no sense for Sony to release a new system that is divorced from rather than an evolution of the current technology. BC is 99% certain. This year’s new iPhone have a new architecture moving from 10nm to 7nm and yet they’re completely backward compatible with all the software that ran on last year’s model. The shift from the 28nm launch PS4 to the 7nm PS5 Will not necessarily prevent backwards compatibility. I remain to be convinced that Sony is going to have back compatibility on PS5. I feel like they have in recent years got a bit of the Nintendos about them in terms of making decisions for the consumer whether they want them or not. If it's going to be there I think they need to make the announcement sooner rather than later because the Xbox is planning to be forwards an backwards compatible and so I'm currently putting all my software eggs in that basket because I'm guaranteed (almost) that I can keep them all for the next gen.
@lacerz Simple it was cheaper and people would not pay for a more expensive even if it introduced the Bluray. @Ryall Yeah but the PS3 had a custom IBM processor now its a X86 one. Of course the PS5 will be backwards compatible. It will be like another PS4 Pro type of upgrade as it's still AMD/Radeon based, still X86, still running on FreeBSD Linux. The biggest change will be the move the Zen CPU cores and we have already seen a Sony patent for CPU timing and it was these unforeseen CPU timing issues that made them stay with Jaguar cores for the Pro. @ellsworth004 My guess is their ambition was to have it being backward compatible, but they could never make it work due to the cell structure. The original PS3 with backwards compatibility had extra hardware to support it, it was not done via emulation. This was removed after a while to cut production costs. PS5 could have BC, but I don't think we can draw any conclusions from this patent. It should be a given in the current digital generation. We have massive catalouge of games on our accounts now and the opportunity to go back to them if wanted should be available. Not only will PS5 be backwards compatible, it will be 100% backwards compatible for software and for peripheral hardware (controllers, psvr, aim controller). Sony can make enormous mistakes but Sony also learns well from their mistakes. They will not repeat the ps3 to ps4 transition (they were mighty lucky because their main competitor dropped the ball). As for this smart injecting of new assets into old code patent, the article says it all. Kudos for a good writeup to squash otherwordly theories. just because PS5 might have an x86/AMD chip doesn't mean it'll definitely be 100% backwards compatibile. i still have my doubts to be honest.. the reason i think sony will want to have it is to retain the userbase of those who've invested in large digital libraries, but i think it may be more difficult for disc based games than some people seem to think. if PS5 has BC, i would kinda expect that a new 'recompiled' version of whatever game it is would need to be downloaded. That definitely sounds like next gen to me. Not like the Pro or the X. But then maybe people give a different meaning to generation? I don't get all the begging for BC on the PS5. If it was a choice between dedicated PS5 games which take full advantage of the new system by having nothing holding them back, to having the new APU based around the same architecture just so a minority of people can sell their PS4 and play those games on the PS5, I'd chose the former. If you want to play PS4 games, don't sell your PS4. Similarly, if you wanted to play PS3 or Xbox 360 games, pick up a cheap PS3 or Xbox 360... If each and every game will require emulation like the Xbox One does, all you're going to end up with is a select bunch of games, waiting for ages for the one you want, and time and resources spent on bringing these to you rather than spent on new games. I seriously don't want the PS5 to become the Xbox One in terms of lacking in innovation and new experiences. Again though, don't sell your current gen consoles and there is no issue here. Also, Sony hasn't lost any money by not offering PS3 games this gen - it's had PSNow and you can still use the PS3 to buy games. It's not like it's been shut down. This is the issue with licensing and designing your hardware on other companies tech and IPs, you hands are tied by their progression. BC is quite important to me, the lack of it meant my PS3 still get more use than my PS4. PS4 has some great exclusives, but if the PS5 goes full 4K, they'll probably re-release the PS4's games like they did PS3/4 with better graphics. Backwards Compatibility is generally the ability to play the 'old' software as it was on 'new' hardware without the need to change anything. Whether as a by-product of better hardware or not, the game runs better is not a pre-requisite of BC. As long as the game runs as well as it did, with no software bugs or issue related to running on newer hardware, then its considered BC. This may well be some form of remastering technique more than evidence of BC. After all its changing the original assets for newer assets and therefore not actually running the exact same software as was originally offered. It's 'enhanced' for more modern hardware - inc Display technology. I know MS claim that the XB1 is Backwards Compatible, its not total BC. Around a quarter/third of all 360 games are now BC with the XB1 - meaning that there is more games that are NOT BC than there are games that are available. Of course, not all of those are down to software issues - a lot down to licensing issues, publisher issues and a number of studio's/developers no longer in business to discuss the possibility of adding their games to the BC list. Like cross-play, its not as simple as turning on a switch and then 'every' game will suddenly be BC. There is a lot more to it than that. Even on PC, some games don't work when you upgrade your hardware - not without searching for drivers or other workarounds to get them running and these are games built for a broad spectrum of devices rather than highly tuned to one configuration as console versions are. I don't expect 'total' Backwards Compatibility with PS5 - even some PS4 games don't run as well on a Pro with the 'boost' mode engaged because they were built with the PS4 in mind but I wouldn't be surprised if there is some 'partial' BC. I think Sony will be weighing up the potential impact to not offering BC with the possible loss of PSNow subscription and seeing which makes most sense - whether both can operate together or whether one option will have a big impact on the other. All speculation at the mo. If the cloud gaming is true il just buy a am4 and monster grahics card with good components. Steam and xbox play anywhere will do me. @Turniplord Not all of us have the room to house a lot of consoles in our entertainment setup. What happens if my PS4 stops working at some point? You think I should just be ok with paying for the privilege to play those games on a spotty streaming app in stead of popping a disc into my new system, or downloading one from my PS account? That's awfully selfish thinking to be honest. @Porco I wouldn't count on PS3 emulation on PS5, it requires a lot of hardware horsepower for stable framerates, not to mention the fact that they already have a large portion of the PS3 library on PSNow. With digital catalogue's becoming more and more popular each passing year it would be ridiculous to think that PS5 won't have BC with at least PS4. I have bought most of my games on PSN store deals and because of this have a large back log. I usually purchase a console at launch on day 1 and if they tell me in order to play my older games I will have to keep my PS4 Pro set up then I will and buy the next Xbox instead. @RedMageLanakyn - no, if your PS4 stops working then you either get it fixed or buy a new one. Again, you would rather them use money, resources and staff on emulating the games than investing in new experiences and games moving forward? To me, that's selfish as you want the PS5 to become the XboxOne and lack innovation as it clings onto last gens games as it's only saving grace rather than utilising the best out of the new system. I'll happily welcome a PS4 with no BC but with a sperate GPU and CPU rather than another APU that's underpowered and limited to a certain infrastructure to allow old games to run. Speaking of if the console stops working though, what would you do if your Wii U stopped working? Would you demand Nintendo makes all your games playable on the Switch? What about the 3DS? When that's not being made anymore would you also demand Nintendo allows you to play them on the Switch as well? No, you wouldn't. I don't like saying it, but you sound a little entitled atm, saying you feel if you bought a game for the PS4, which you own and you've played and enjoyed playing those games, then you should be allowed to play them on the new console just because you don't want to have both of them hooked up. Like I said, keep your old system and you'll have 100% compatibility on all of your games both digital and physical. If you're concerned about paying the games after upgrading, maybe you should invest in a PC as consoles have to make a jump if they want to make a difference to the current gen. I really hope there is no BC and it isn't being held back as that'll be a massive mistake. @Turniplord You seem to be under the impression that it would take a large amount of resources to provide emulation, when in reality it would take very little with their current architecture. The reason Xbox is doing poorly is because of a lack of decent developers, which Sony is currently not lacking at all. As far as Nintendo goes, that's a non issue here because they made a huge technological jump from the Wii u to the Switch, but I'll humor you, since the Wii u did support their two past consoles, that yes, I would have to buy a new 3DS or Wii u if mine stopped working, but again, its not Nintendo we're talking about here. You can call those of us "entitled" if you so choose by asking Sony to allow our games we bought with our hard earned money to be used on their next platform, but it's certainly not the resource diverting mountain you're making it out to be. Sorry I'd rather not have 4 systems hooked up to play all of MY games that are on a single account. Just make ps1 and ps2 available digitally on psn for ps4 and ps5, like on ps3. Even psvita has ps1 compability, I don't understand why ps4 doesn't have it. And of course ps5 will have ps4 (maybe ps4 pro) compability, in this digital age it will be very foolish for sony to make ps5 a clean slate like ps4. It'd be a smart move. The PS4 has an enormous library, and games will continue releasing on it well into the future. Having PS5 be backwards compatible with physical and digital PS4 software would help bulk up the otherwise thin library of the new console during its launch period. The PS2 had b/c because it had PS1 hardware built in. The PS3 had b/c because it had PS2 hardware built in. That was part of the reason for the high price at launch. Later models achieved it with emulation, allowing the PS2 hardware to be removed, resulting in cheaper models. Eventually this too was removed to cut costs further. PS4 doesn't have b/c because it simply doesn't have the raw power to emulate the complexity of the PS3/Cell architecture in software... something with which even high-end PCs struggle. Sure, they could have gone the previous route and included the hardware, but then PS4 probably would have cost £500 or more, since the Cell is a relatively expensive chip to produce. And since everyone and his dog cried about the initial price of the PS3, it wouldn't have been in Sony's interests to do it that way. Since the PS5 is all but confirmed to be using AMD architecture again, I think it's pretty much guaranteed that it will be compatible with PS4 games. Personally, I'm one of those who doesn't really care either way. When the PS2 first released, I thought it was great that it would play PS1 games, but after the first month I found I wasn't really using it as the PS2 games were so much better. I wasn't even touching my previous favourites. Then the PS3 released and I got the 60GB model, and literally the only game I used b/c for was Tomb Raider Anniversary, which released around the same time. I sold my PS2 and all my games within a fortnight as - once again - they weren't getting used. With PS4, it's been slightly different. I kept my PS3 as I was constantly re-playing things like the Uncharted series and TLOU. Of course, these were eventually remastered and I can now play them on PS4, and I had no complaints or hesitation in buying the improved versions. But although I still have my PS3, and it still sits under my TV alongside my PS4, it has seen very little use over the last 5 years. So if PS5 has b/c, great. If it doesn't, I won't really care. As with any hardware upgrade, compatibility is a bonus, not a necessity or a requirement. I didn't complain when CD replaced vinyl/tape, I didn't complain when DVD replaced VHS, and I won't complain when one console format replaces another. If it's easy and affordable to make them compatible (like DVD drives playing CDs, Blu-ray drives playing DVDs etc. ), fair enough. But if they want to have features (and a selling price) which make b/c difficult or impossible, that's also fine. I'm very much of the opinion that, if sticking with the old means compromising the new, leave the old behind. @Turniplord nobody said there needs to be a tradeoff between holding back ps5 games or getting b/c with ps4 games... you made that up. it is possible to have a console that plays cutting edge ps5 games and plays our ps4 games so why not choose a console that does both features? this will be nothing like the 360 b/c on the x1 since ps5 would natively run ps4 games (ideally). the x1 needs to emulate the 360 games, hence why there is a very slow rollout of compatible games as they require qa and other testing. i just don't think you understand the context very well, which is why you made such a comparison. @Porco - in order to natively run the PS4 games, the hardware within the PS5 would need to be similar or 100% compatible with the PS4 processes and commands. That's why the Pro isn't a massive jump and only uses half the GPU when running PS4 games, even in boost mode. So presuming that the PS5 will be held back if going for the 100% compatibility mode is an educated guess and one which I wouldn't be happy with them doing. If the jump is drastic and three is too much of a difference to run the games natively, then emulation will be required which would use up time, money and resources - regardless of what the other guy said. MS is basically throwing away money with every BC game as they supposedly have over 100 people working on the emulation and testing process for games people will either get second hand or already own. That's not a good business model for any company. Unless it's real BC like with the PS3, Wii and Wii U, then it's gonna cost Sony and thus tap into money which could be spent on new games, studios and innovations. Also, I don't see it being like the PS3, Wii or Wii U as they all had previous gen hardware inside or were just the same system but overclocked (Wii and Wii U) - thus that means either, as I said, the PS5 being held back as a PS4 Pro+ Console (pointless) or an increase in price with dual processing APUs inside (which they wont do). Anyway, we'll see, but I wouldn't hold your breath over native BC on the PS5 - this patent was for the PSP emulations. Just keep your PS4. If you want a system that plays all your games all the time - get a PC. Consoles need to evolve and innovate, otherwise it's pointless. @Turniplord yea, i never throw away my old consoles, regardless (i.e. sell them i mean). i like to keep them in the collection. that said, i would lose it if ps5 does not run ps4 games. unless sony wants to commit pr suicide, they won't make such a misstep and will find a viable way to include the feature... 100% compatibility out of the box or don't even bother is how i see it. 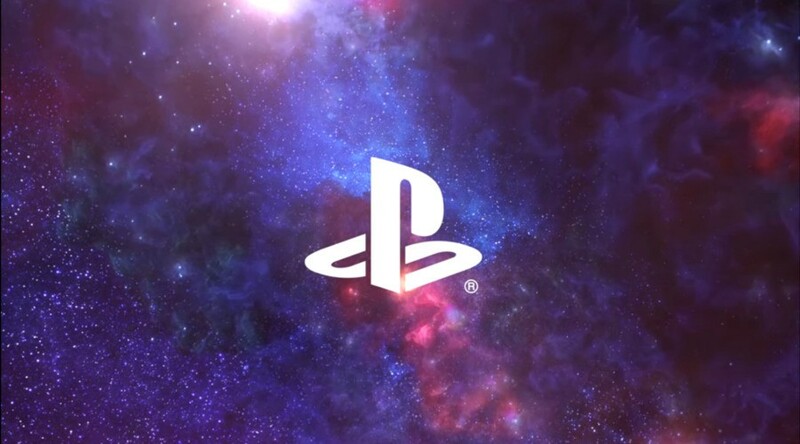 i think it is all but confirmed at this point, but if by some freakish chance sony does not include ps4 b/c... i will probably not purchase a ps5 until year 5 when i can get one at its cheapest price point. i will seriously lose my enthusiasm to be an early adopter and would even lose faith in the playstation brand. that is how anti-consumer such a decision would be to me. i already need to keep my ancient ps3 hooked up in my limited desk space... i absolutely do not need yet another console taking up space, nor do i need sony repackaging and selling me ps4 games again on my ps5. @Tasuki Huh? I didn't use any profanity. Edit: Jesus, I've just seen what was changed. @get2sammyb amen. PS4 BC is the much lesser but still one of the two main factors that will decide if I'll be getting a PS5 or not. @Paranoimia Sorry but thems the rules which you agreed too when you signed up for an account here. The only reason to buy a PS5 is for what it can do better, what it can do that any previous console can not do. I do not want a rebranded PS4Pro called a PS5. I play PS4 game now because I own a PS4. No one will take my ps4 away because the PS5 is being sold. This is why i have never seen BC as a compelling reason to buy a new console. That said I do feel the PS5 will offer limited BC with PS4 with much smaller chance for PS1, and 2, and a slim to none for PS3. That would be great if the PS5 was backwards compatible with PS4 games. As games and systems cost so much these days so most people would have to sell there ps4's to get funds for a ps5 console and only a game or two. So the owner could play all the games they have amassed from the ps4 on the ps5. Fingers crossed. @Tasuki Oh, I've no problem with the rules, and I completely agree with them. I just never encountered anyone before who considers that slang term to be profanity. Still, never mind, I'll know for next time. i can only assume people have never tried changing the CPU in a PC. in general, it won't even boot the existing install of windows.. it usually involves a complete re-install, and also a re-install of games, and possibly a bunch of new drivers required to play games that worked on older CPUs, and PCs games are usually built around supporting direct X on a bunch of supported CPUs and GPUs. PS4 games are built for a single CPU/GPU family using a low-level API. getting them to run 'as is' on new CPU/GPU hardware is not as trivial as most people seem to think. sony might be working on a solution for it, but it's not simply a case of another x86 chip = BC sorted. Interesting technology, probably not related to BC, though, as the article mentions. Speaking of BC, yes, PS5 must have it. It's time for Sony to embrace PlayStation as a platform now that so many gamers have a large digital library. I wanna play all the amazing PS4 games again in my PS5 alongside new games. As for the argument that it's better for PlayStation to focus on new hardware and experiences than holding the tech back for BC, I miss the point where PCs stopped innovating and improving because pretty much everything from decades ago still works. @turniplord The skills required to have BC are usually different than game development. So it wouldn’t be a case of them pulling developers from a new game per se. Most games on PS4 are written in C++ usually using an engine like unreal or unity; given it used PC architecture, so long as the PS5 also uses PC architecture, Sony would just need to maintain the PS4 system calls and the runtime, which isn’t too hard, Microsoft has done that for years (hence why you can run old windows games on modern windows). I also think all games if possible should be available on a modern platform; old hardware doesn’t last forever. Books and movies are reprinted all the time, games should be as well. @leucocyte As I said above about AMD supplying the next chips for PS5 (Navi unless then change it) it can be done but you yourself sound like a pc builder like me. And yeah swapping a CPU for a better one doesn't work without a full reinstall of Windows because if I remember when I did it Windows asked to be reactivated because it ties itself with your hardware ID. Just because it's a new chip from AMD it's going to need either new software emulation that also runs PS4 code as well as 5 but I am sure they will solve it. Heck it may not be available at launch it maybe a feature that will come later down the line, but then gamers have a cause for concern because Sony could simply just say it's not coming at all. It's why I keep my older consoles I still have my PS3 and I'll keep my 4 when I get 5. There is so much at stake here, it's not like it's just games we're talking about here, but also peripherals. Neolit menitoned VR, it's only just started, they would shoot themselves in the foot if you couldn't connect your set and needed a new one (presumably, VR2 at some point) but also VR games developed for PS4. Another point: the era of remasters will come to an end, I daresay, and that is because PS4 is the perfect platform to make the jump, and so many games have. What reason would there be to carry on with this (there will be exceptions, of course)? A remaster of a PS4 game on PS5, the difference will be minimal and it will be difficult to justify the purchase to many. This won't be happening. Finally, the generational leaps won't be so huge anymore, PS4 has the power to generate dazzling, lifelike worlds, 4k and 60fps are all nice but not essential for creating great stories and gameplay, stricly speaking. The generational leap will have to be all about varied experiences: VR being one of them, BC is just something we now expect, social media connectivity, cross-play etc. I would probably wait for a pro version of the PS5 if it isn't backward compatible. isn't this what microsoft is doing with the X enhanced 360 games? I’m glad Sony is looking at this. While understanding the complexity of the PS3 for BC, I always felt that the PS4 should’ve been made to play psone and ps2 discs right out of the box. My fat 60G PS3 being able to play psone and 2 discs enabled me to unhook my ps2 and psone systems and create some much needed space! Needless to say, if we’re able to download our digital PS4 purchases on ps5, that would also be awesome! So here’s hoping ps5 when it arrives, is VERY backwards compatible as far back as it is technically possible!! I'm basically expecting the PS5 to be like the PS4 Pro, just more of a leap in power and with some exclusive titles. It's working with the Pro, and as long as the architecture allows for more power, I don't see why they would stop. I'd be surprised if the PS5 wasn't backwards compatible with PS1, PS2, and PS4 games. Maybe also PSP and Vita games to sweeten the cake. Shame we most likely will never be able to play PS3 games on a newer console.